Particularly looking forward to the new Nimbus remix and the reworked In Yer Face, as well as the new tracks. I hope Plan 9 is the one that was played on the radio at the time, which is why I bought every edition of Plan 9 in the hope of finding it, but never could. Last edited by SteveC on 22 Jul 2011 21:06, edited 2 times in total. Looks good, looking forward to the modern re-workings! Just ordered, thanks for the heads up Steve. Looking forward to the re-works. 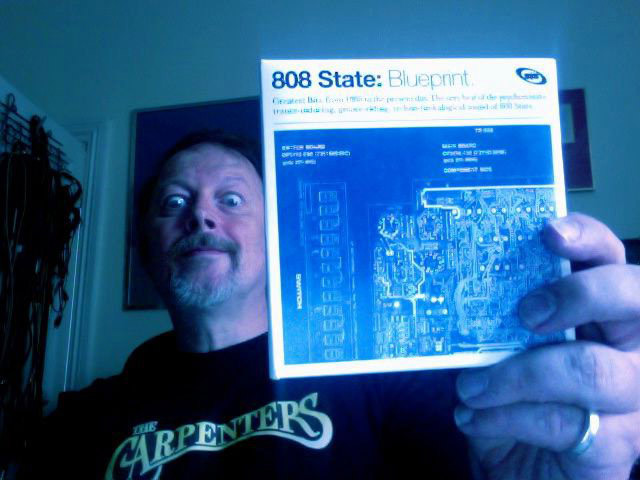 Well done 808, a truly tasteful approach to a best of album, I'm really looking forward Blueprint! Play.com now changed to GBP 7.99, so Amazon at GBP 5.93 (free UK delivery) the place to pre-order right now. Important question. I'm sure many of you are aware that the PIAS Factory has been burned down in Enfield and my sympathies go out to all the labels and staff involved. I was just wondering who the distributor is for Blueprint is and if the recent events will affect the release date at all (and maybe the price). Apparently Blueprint has not been affected by the fire. All the samples are now available on amazon. Brill.. the new tracks and revisits sound AWESOME!